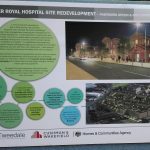 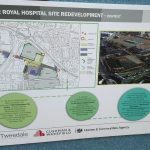 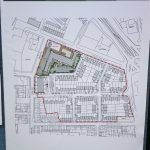 The plans for the site of the former Royal Hospital have been unveiled at a public consultation event in The Atrium at The Workspace. 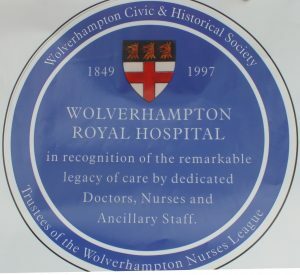 The Homes & Communities Agency, which owns the Hospital building and land around it, has agreed to install a blue plaque on the Royal Hospital celebrating its key role in shaping health services in Wolverhampton. 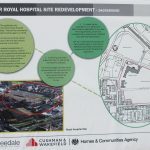 It is envisaged that the plaque will be installed towards the end of the year. 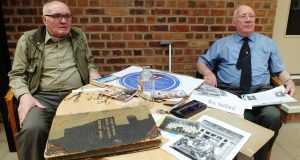 Mr Roy Stallard (Royal Hospital Historian) and Mr Barry Hodgson (Wolverhampton Civic & Historic Society) displayed a mock-up of the blue plaque, along with a collection of implements and artifacts from the hospital.